With over 40 years of experience in the residential real estate market, Teri Armstrong Hardke is a seasoned real estate professional who loves people, loves what she does, and loves taking good care of her clients. Teri obtained her license at age 18, prior to attending U.S.C., where she majored in Business Administration and Marketing. She began her real estate career at Armstrong Properties, which was founded by her father in 1963. In 2006, the Armstrong Properties offices located in Riverside and Corona affiliated with Coldwell Banker. At the same time, the Newport Beach office of Armstrong Properties was delighted to affiliate with the Newport Center office of Coldwell Banker Previews International as “The Armstrong Group”. Newport Center is one of the nation’s top producing real estate offices and has provided Teri boundless networking opportunities. Teri has received special recognition over the years for her achievements in sales, including being named to the Society of Excellence in 2012, which is Coldwell Banker NRT's highest honor, putting her in the top 1% of all sales associates nationwide. Teri has been named #1 sales Associate in the Orange County and Desert Communities in 2010, 2011 and 2012 by Coldwell Banker, NRT, LLC, and is currently the #1 Coldwell Banker Sales associate in Newport Beach. 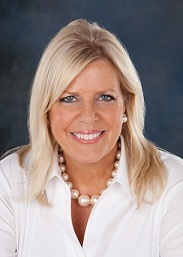 Teri Armstrong Hardke is widely respected for her real estate knowledge and experience. She has the skill to guide her clients through complex real estate transactions and is known for her attention to details. Teri is also one of the most talented marketing strategists. She creates a personalized plan for each of her clients and commissions top quality print and internet marketing to best achieve their goals. Teri has earned a loyal following of repeat clients. Teri is active in numerous community organizations and projects. She was a member of the Newport Beach Home Tour Committee, United Way Women’s Philanthropy Fund (founding member), and a Junior League member. She currently enjoys her involvement with Mariner's Church, and is a member of the Newport Beach Country Club and a SeaTrial member at Balboa Yacht Club. Teri also has enjoyed involvement in Young Life and Lacrosse with her son Matt, a graduate of Loyola Marymount University in Los Angeles and currently with SRS Real Estate Partners Commercial Brokerage. Sally Ellis has been working in the luxury real estate market since graduating with a Bachelor of Science degree from UC Santa Barbara in 2003. Since then, she has worked in some of of the most elite, high-end markets in the world, including Santa Barbara/Montecito, Pacific Palisades, Beverly Hills, and now the greater Orange County area. Sally lives in Irvine with her husband, Brian, a software engineer/web developer, and their two-year-old daughter Emerson, and enjoys rooting on the local sports teams, including the Los Angeles Clippers, Los Angeles Angels of Anaheim and the Anaheim Ducks. She is also actively involved in her charity work with the Orangewood Children's Foundation, a program that lends support and resources to local foster youth.